There are two entities that keep a business running smoothly. These are customers and suppliers. The problem that most entrepreneurs have is focusing too much on pleasing the customer. What they fail to realize is that suppliers are equally important. Without them the customer’s needs cannot be met. If you have been less professional with your suppliers, this is the best time to embrace change—automated invoice management. It is the only thing you require to improve your invoicing. Manual invoice management tends to be slow, erroneous, tedious and costly in the long run. In this era of technological development, you no longer need to do manual invoice processing. Professionally designed, clever software that completely eliminates manual invoicing. A customizable system that you can alter based on your company policies. The most comprehensible and handy tool will let you alter old steps, add new ones and update your policies without a fuss. Each person will do what they are supposed to at every step of the invoice approval. The software can eliminate conflicts related to assignments and duties. The one who should be doing the current task will automatically know it. Tracking is extremely easy when an invoice is being made. As a result, managers can later on check the History tab to figure out who approved a given invoice. As well, they can see the staff that cleared the payment and see the issues that were dealt with during the approval procedure. If you automate invoice processing via a reputable software tool that provides a reporting feature, it will be easy to retrieve any amount of data you want. It will offer an intuitive dashboard with widget that could display full information on the total figure you have paid to every vendor. As well, you can track expenditures incurred in each of the departments you own. The best approval workflow software for invoice processing brings departments and staffs close together. It enables them to liaise and exchange data, solve difficult issues and clarify things for each other. It creates a particular form or method of reporting what has transpired between teams and departments. If you will end up using the most believable and effective invoice management tool, you will no longer have to worry about errors and omissions. Your invoice approval process will become so streamlined and easy that you will no longer run into trouble with your suppliers. Each bill will be recorded in detail, as a pre-made template is already provided. The workers involved with invoicing will just enter relevant data. This may include data about taxation, prices of goods and services, quantity of purchases, names of the involved employees, date, and invoice number and so on. A good tool will get rid of guesswork and speculation. Instead, it will provide a solution that your workers can use to ensure a high degree of accuracy. Even if you customize the workflow, a premium invoice management system will keep working flawlessly and quickly. If you want to substitute your manual invoicing method with a more modern one, choose our Comindware Tracker. This user-friendly tool offers invoice form fields that could let you customize your invoice workflow in an instant. Ensure that you secure your 30-day free trial the soonest possible. 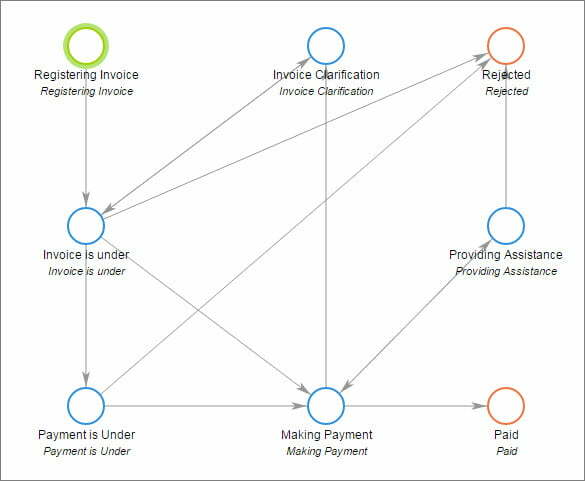 Now that you know how you can stop generating and managing your invoices manually, automate invoice processing as soon as possible.